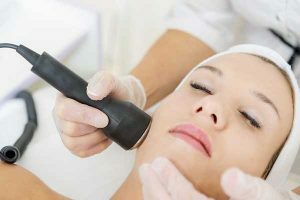 What are Laser Skin Rejuvenation treatments? Intense Pulse Light (IPL) Skin Rejuvenation is a non-invasive skin treatment which will improve the overall tone colour and texture of your skin. Its advanced technology allows us to customise treatments for different skin tones and conditions. Laser skin rejuvenating treatments can help to reduce the appearance of brown spots, sun damage, fine lines and wrinkles, thread veins and age pigmentation spots can make you look older than you actually are. This technique stimulates the Collagen under the skin and give a more glowing and younger skin. Dark skin discolouration can also be improved, redness is diffused, sun damage and age spots are reduced, and overall your skin will look and feel fresh and rejuvenated. What skin problems can it solve? If you want to see visible results Book a consultation with one of our clinical experts who will discuss your needs and then create a personal treatment plan designed to achieve the best results.